Reason #6 to attend A Luminous New Year's Eve? What we believe to be the Canadian premiere of 'Had I not seen the sun' by Tarik O'Regan, featuring the poetry of Emily Dickinson! Luminous Voices audiences were first introduced to the music of British composer Tarik O'Regan in October, when we performed one of the movements of his famed Triptych with a string orchestra. Looking on the composer's website, however, we don't see any Canadian ensembles having performed this work, so that's why we 'believe' this to be the Canadian premiere! Tarik O’Regan, born in London in 1978, has written music for a wide variety of ensembles and organizations; these include the BBC Symphony Orchestra, Royal Philharmonic Orchestra, Australian Chamber Orchestra, BBC National Orchestra of Wales, Estonian Philharmonic Chamber Choir, Sydney Dance Company, Chamber Choir Ireland, BBC Proms at the Royal Albert Hall, and the Royal Opera House, London. Currently he is working on a commission by the Houston Grand Opera for release in 2019: a full-scale opera about the life of Lorenzo Da Ponte, the famed librettist of three of Mozart's most treasured operas (Don Giovanni, Le nozze di Figaro, Così fan tutte). Highlights of the 2017/18 season include the Amsterdam revival of Mata Hari, an evening-length ballet commissioned by the Dutch National Ballet, and performances by the Orchestra of the Opéra de Rouen, Lausanne Chamber Orchestra, and the Alexander String Quartet. O’Regan’s work, recognized with two GRAMMY® nominations and two British Composer Awards, has been recorded on over 30 albums and is published exclusively by Novello & Co. Ltd, part of the Music Sales Group. 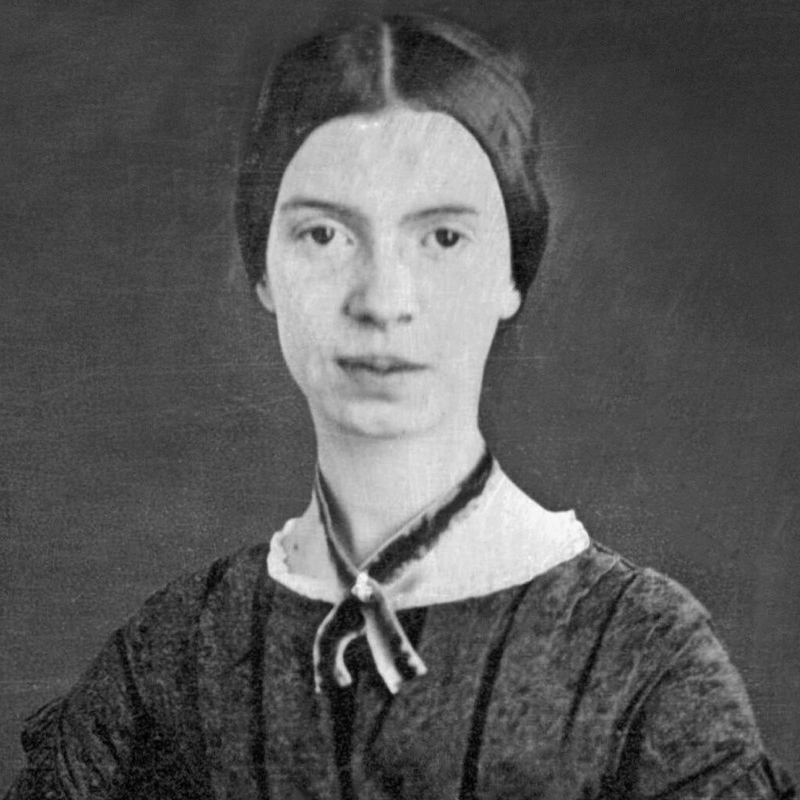 Emily Dickinson was an American poet who lived during the 19th Century. Born in 1830 to a prominent family in Amherst, Massachusetts, Dickinson lived much of her life in reclusive isolation. Dickinson's poems are unique for the era in which she wrote; they contain short lines, typically lack titles, and the use of unconventional capitalization and punctuation. Many of her poems deal with themes of death and immortality, two recurring topics in letters to her friends. Dickinson was a rather private poet; fewer than a dozen of her nearly 1,800 poems were published during her lifetime. She died in 1886; the first collection of her poetry was published in 1890. A complete, and mostly unaltered, collection of her poetry became available for the first time when scholar Thomas H. Johnson published The Poems of Emily Dickinson in 1955. 'Had I not seen the sun' is one of two songs in O'Regan's Two Emily Dickinson Settings, commissioned by Craig Hella Johnson and the Texas-based ensemble Conspirare. It partners with the song 'I had no time to hate'. Together, the two songs were intended to frame Conspirare's programme rather like a compositional 'inhalation' and 'exhalation', a crescendo and decrescendo, or a prelude and postlude. Densely textured, the music aims to hint at the many different takes and interpretations Dickinson's poetry evokes in its many readers. Each setting uses a solo soprano and tenor, their voices referencing the polarities inherent in each poem ('sun' and 'shade'; 'love' and 'hate'). Older PostMerry Christmas from Luminous Voices!